Despite a broad push to pay for value over volume, health systems are still largely reliant on the fee-for-service model as they gradually take on more financial risk through new payment methods. But systems that have the resources, infrastructure and appetite to delve more deeply into value-based payment reform are starting to see a return on their investments. Get the full survey results from this year's Hospital Systems Survey. In this year's Modern Healthcare Hospital Systems Survey, only nine out of 60 respondents said they derived 10% or more of their net patient revenue in 2016 from risk-based contracts, which was largely in line with last year's survey. Three-quarters of the respondents estimated that risk-based contracts generated 4% or less of their net patient revenue, but most indicated their share of risk-based contracts would slightly increase in 2017. Notably, 19 respondents said they recorded a surplus on risk-based contracts. At Montefiore Health System, 22% of net patient revenue was tied to risk-based contracts, ranking the system seventh on that measure in Modern Healthcare's survey. The New York City-based health system has been moving toward risk-based contracting since 1996, said Stephen Rosenthal, senior vice president of population health management. 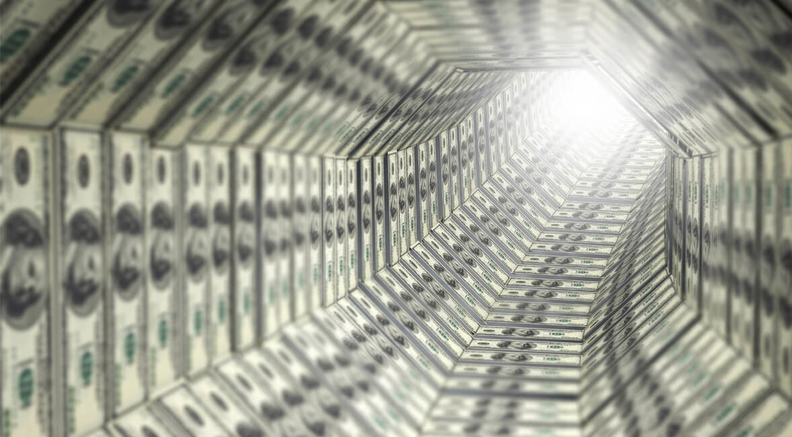 Systems that have the resources and infrastructure to delve more into value-based payment reform are seeing a greater return on their investments. "We have made an enormous investment in our infrastructure with almost 1,000 full-time employees managing 400,000 individuals" covered by risk-based contracts, Rosenthal said, adding that about 235,000 patients receive care under full capitation. "They are coordinating care and helping manage people's health. It's an investment many organizations today find difficult because they don't have the opportunity to support infrastructure through risk arrangements. You have to start small and grow over time." An organization that has the scale to build infrastructure and spread the cost over a wide patient base can generate significant return on investment. 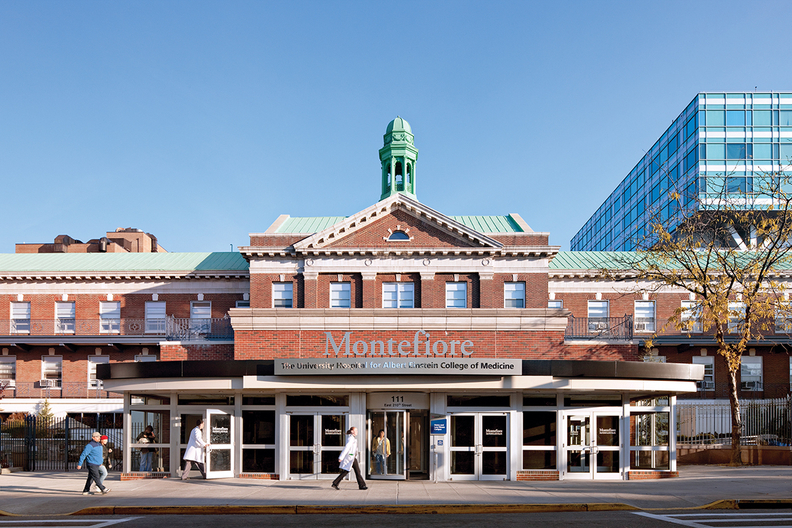 Case managers who handle cohorts of challenging, high-cost patients help Montefiore improve care quality while minimizing costs, Rosenthal said. Montefiore also educates doctors on electronic health record utilization, leverages data analytics to better focus care and partners with community organizations to address all-encompassing health needs. "Taking on risk requires a structural change in the way an organization thinks about how it will manage the challenges of a patient. It requires investment in change," Rosenthal said. Risk-based contracts cover a myriad of forms. Full capitation—Montefiore's preferred approach—is the most drastic measure, with providers receiving a capped monthly payment to treat a patient. Accountable care organizations require healthcare organizations to build data analytics tools, integrate IT platforms and hire additional staff in an effort to improve coordination across the continuum, reduce variation and redundancy, and deliver better outcomes at lower costs. More than three-fourths of respondents said they participated in an ACO, with most saying they contracted with Medicare and a private insurer. Contracts that involve less risk include Medicare shared-savings contracts, bundled payments for such conditions as spinal surgery, and contracts with bonuses for reaching quality and patient satisfaction benchmarks or penalties for hospital readmissions. Providers that lack the resources, infrastructure and, perhaps, confidence, to hasten their move to alternative payment models are instead opting to slowly wade into the waters through low-risk contracts, often only bearing upside risk. Those worried that they won't be able to consistently meet the benchmarks needed to generate savings and not fall into deficits often prefer agreements such as pay-for-performance contracts that incorporate efficiency metrics, including total cost of care and readmission rates, but shield them from downside risk. "Most of it is one-sided risk, which is also a reflection of a lack of confidence in the models," said Paul Ginsburg, director of the Center for Health Policy at the Brookings Institution and director of public policy at the USC Schaeffer Center for Health Policy and Economics. "Steps will need to be taken to improve the models and overall confidence through new incentives or mandates." Sioux Falls, S.D.-based Sanford Health generally only takes on contracts with upside risk, Chief Financial Officer JoAnn Kunkel said. The health system manages 45 hospitals across the upper Midwest and operates a health insurance plan with about 174,000 members. It has shared-savings contracts in place that involve quality, efficiency and managed-care initiatives. Including its health plan, about 20% of the system's overall revenue was at risk in 2016. "We are selective in what we do because we are a major provider," she said. "We don't want to get into things that are risky that we think we can't manage well. Everything is set up in a fee-for-service world, and when you step into another process too quickly, it can be detrimental." Montefiore gets 22% of its net patient revenue from risk-based contracts. A key element for San Diego-based Sharp HealthCare, which has been doing risk-based contracts for three decades, is a commitment to data analytics. It has a data warehouse where it manages all its claims and identifies patients who have multiple chronic conditions and dispatches care coordinators. "That's where the majority of costs are and where you can to an extent manage that proactively and help minimize complications related to chronic conditions," President and CEO Michael Murphy said. "But population health is not something that you just turn a switch and start addressing. You need medical groups to partner with you, alignment with providers and payers—that doesn't happen overnight." Sharp operates seven hospitals and manages a health plan that covers almost 130,000 members. It had 38% of its net patient revenue tied to risk-based contracts in 2016, ranking third on Modern Healthcare's survey, and plans to increase that to 40% this year. Providers such as Ascension​ have more flexibility to customize their risk-based contracts when they contract directly with self-insured employers, said Anthony Tersigni, CEO of the nation's largest not-for-profit health system. Ascension has about 3.4 million patients under risk-based contracts, he said. While systems of scale that own their own health plans are generally more willing and capable of taking on more risk, that isn't necessarily a prerequisite. Partnerships with community organizations can take some of the expense and risk out of the equation and help keep broader populations healthy. "The more scale you have the more opportunities you have for success as you spread the cost of infrastructure over a larger population of people," Rosenthal said. "But when taking on financial risk, you need to partner with community organizations who can provide healthy food, shelter and the housing needed to keep people healthy. You can't do it alone." Even though most systems are slow to embrace risk-based contracting, mandated change is coming. The Medicare Access and CHIP Reauthorization Act requires physicians to participate in one of two reimbursement tracks: the Merit-based Incentive Payment System or advanced alternative payment models. That effort will drive more risk-taking. Also of note in the survey, many systems reported that they are increasingly partnering or acquiring physician groups. Nearly 80% of the respondents said they own or partner with physician groups, and half of those deals were made in 2016. Two-thirds of those that owned a physician practice said it did not materially affect their financial performance, while 24% said their finances improved following the acquisition, and 10% said there was a decline. The vast majority of systems also reported that they do not plan to decrease their share of inpatient beds. Although many systems have seen inpatient admissions gradually erode, nearly 90% of the respondents said that they would not be reducing their bed count. As for a more widespread adoption of risk-based contracting, that could be about three years away, healthcare experts said. Part of the hesitation can be traced to political uncertainty about the healthcare debate in Washington.